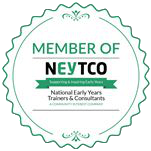 A nursery achieves maximum value when it operates at 100% capacity. That’s not easy to achieve because it means having zero vacancies from the time you open to the time you close. Multiple schedules and time slots can overlap and create barriers and, even if you’re full one day, you may be faced with problems further down the road. If you’re relying on a manual scheduling system involving paperwork or spreadsheets, it can be difficult to see what lies ahead, such as losing lots of children to school at once. Without the ability to plan ahead, you cannot take pre-emptive action to prevent peaks and troughs in attendance. In business terms, it results in an uneven cash flow. Furthermore, it can affect the quality of care you provide as well as your relationship with parents. You will no doubt have received a request from a parent eager to move their child up to the next age-group before they’re ready. It’s not the easiest conversation to have. It’s even harder when a child is ready to transition, but there’s no space for them to transition into. Wouldn’t it be nice to prepare your team and classroom effectively; to lose the same number of children each year; and to give yourself greater business certainty? It’s all possible with Prism. 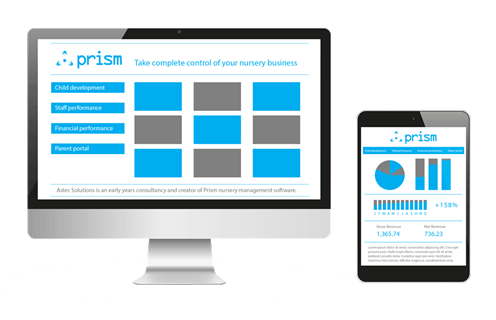 Prism’s powerful scheduling tools allow you to understand the impacts of the movements of staff and children on your nursery in terms of both quality and cash flow. You can quickly analyse your schedule, alongside your waiting list, to find the most appropriate solution that maximises occupancy now and in the future. When you’re looking to fill a vacancy, you can quickly check against your waiting list to see which parents have requested those days that will move you closer to full capacity and provide the longest benefit. For example, before releasing the last space in your preschool, you want to make sure you’ll have enough room to transition your toddlers at the appropriate time. The software takes into account all the necessary information, such as room capacity, staff qualifications, child progress and more to make sure you make the best decision in terms of finances, OFSTED limits and your own set limits. Greater financial certainty makes it easier to plan ahead and, when with an understanding of what’s around the corner, you can spend less time frantically recruiting new customers, while maximising your income and realising your fullest potential. The powerful also reports help you identify the appropriate time for a child to transition to another room. Information about a child’s progression (and their interests) is clear and transparent, so your team can prepare well ahead of time to ensure a smooth transition for each incoming child. Alongside Prism’s Parent Portal, this helps you keep parents informed of what’s happening and makes sure there’s no longer debate about when a child is ready to move on. With a clear picture of the issues that will impact your setting, you’re better able to make confident decisions that positively impact your business. In short: you can say goodbye to those peaks and troughs. Say goodbye to peaks and troughs!